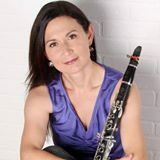 The Chowan University Department of Music presents Tasha Warren on clarinet and Mary Hellmann on piano on February 19, 2017 at 3:30 p.m. at Murfreesboro Baptist Church, 200 West Main Street, Murfreesboro, North Carolina. This music event is free and open to the public. Very impressed with your Arts@CU website. It is very informative about the many events that are offered by the Arts Program at Chowan University. The diversity of your programs is wide ranging and appeals not only to the faculty and students, but also to the community. The web address of this site is simple and easy to remember. The layout of the site with the beautiful shades of blue is easy on the eyes and easy to navigate. I hope my schedule will allow me to attend several of your events. Keep up the great work on this site and God Bless!